As we organize this spring, it helps to set an ultimate goal. What are you working so hard to achieve? This could be: to de-clutter – truly going through papers and ‘stuff’ to file or donate, having more space – making use of wall space or cabinetry, or simply cleanliness – getting every nook and cranny. Whatever your goal may be, there are tons of resources at your fingertips! We’ve used a few here to create a multi-purpose organizer. Before heading out to buy new storage or organizing containers watch for items in the garage, at your parents or grandparents house that may be of use. Especially wooden, because we love wood and there is an array of options to fix, clean and refurbish wood items. This old wine rack came from an ARES Thrift Store for $3.99. I sanded it quite a bit, using 80 grit. I’ve recently been taught the importance of sanding completely before staining anything wood. It’s important to get all the way down past the previously stained parts so that the new stain will take well. I chose a white wash stain out of pure curiosity. I have seen many people do it and needed to see for myself how it works and looks. I simply followed the instructions on the can and viola! 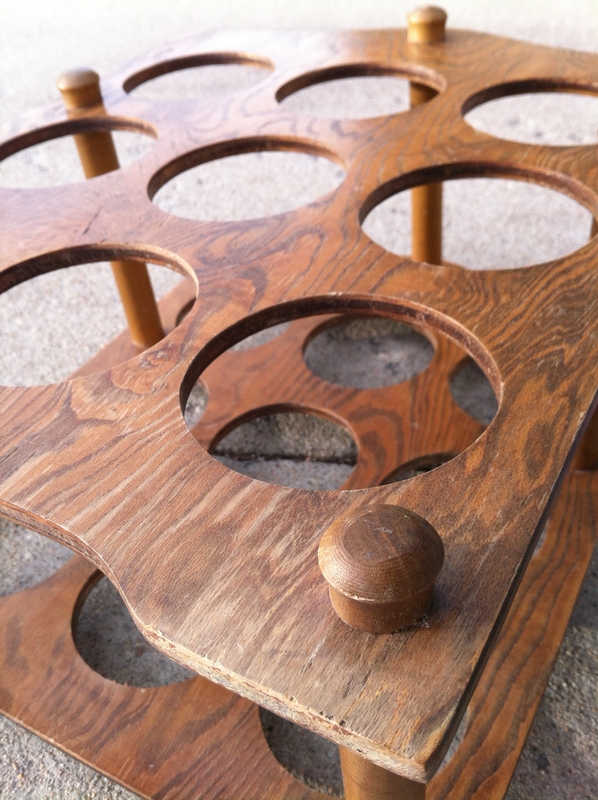 We now have an elegant and rustic; wine rack, towel rack, magazine holder, or anything else you fit rack! Of course, I followed up with a Scott’s Liquid Gold Cleaner and Preservative test! This lighter wood took to Liquid Gold very well so I chose not to finish it with a clear coat. My challenge for you, is to think outside the box to achieve your spring organizing goals. Below are some additional resources you may want to use to help you get started! A place to find and exchange free stuff all over the US. 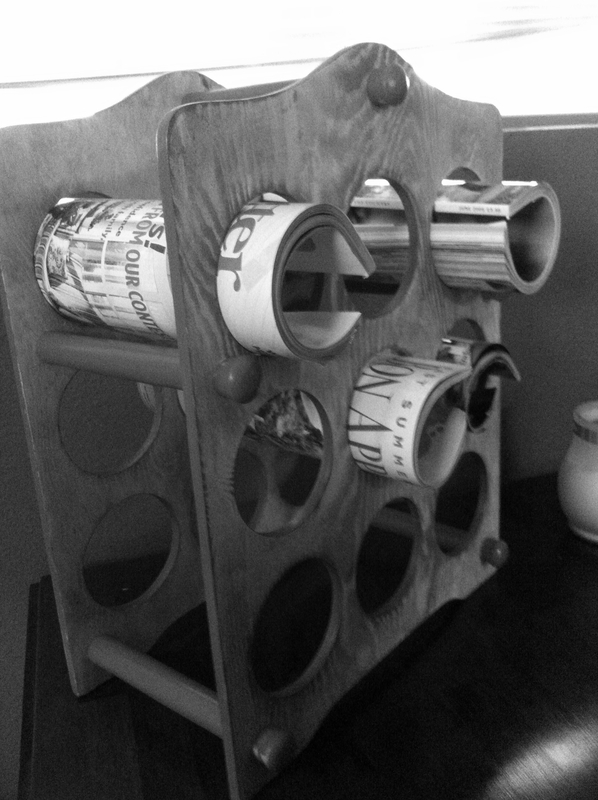 Here are more wine rack ideas if you have a dusty one or want to get creative. How to effectively use white wash stain. 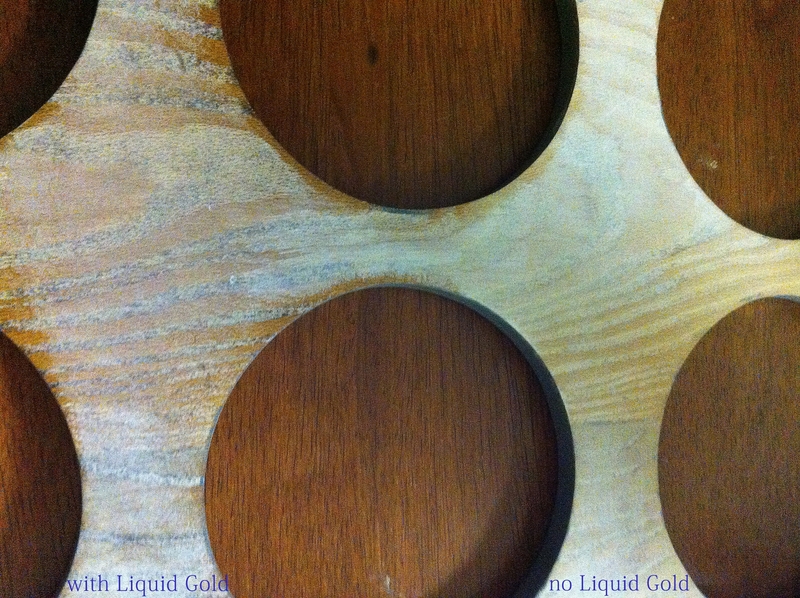 Last but certainly not least – how to use liquid gold. This post and project were created by our Intern, Amber Lesser. Amber is an Environmental Studies student at the University of Colorado. Thanks Amber! Hello! I'm Amber, Creative Marketing Communication Specialist at Scott's Liquid Gold, recent University of Colorado graduate and recycling queen! My passion is the environment (and coffee). 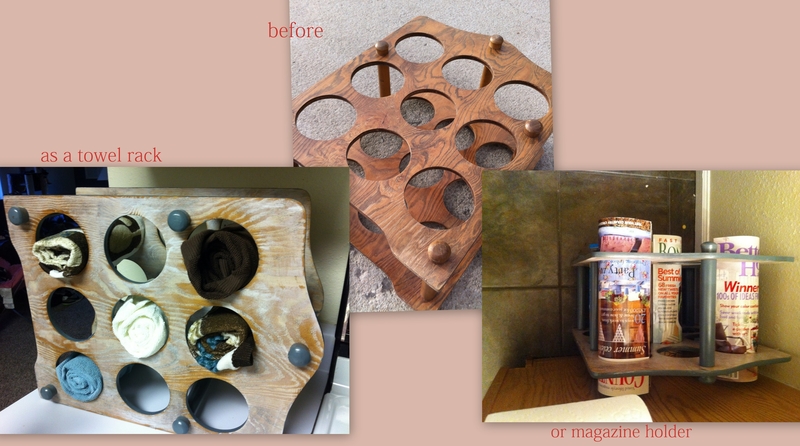 I love reusing and playing with salvaged wood! 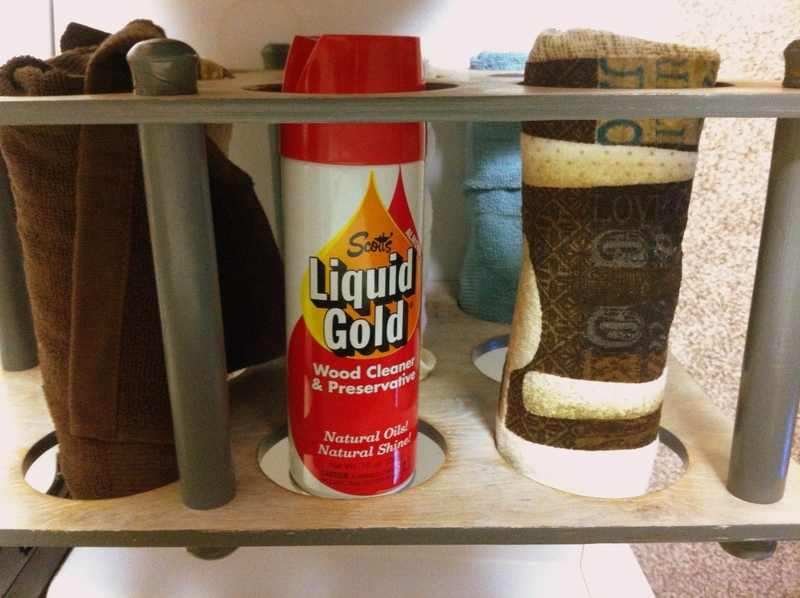 This entry was posted in DIY, Household, Organize, Racks, Reuse & Repurpose, Rustic, Scott's Liquid Gold, Storage, Wood Wash and tagged Amber Lesser, around the house, cleaning, freecycle, Home Depot, Household, made in america, made in USA, magazine holder, Organize, painting, reclaimed wood, recycle, repurpose, resource, reuse, sanding, Scott's Liquid Gold, spring cleaning, towel rack, upcycle, white wash, wine rack, wood, wood preservative. Bookmark the permalink.